In order to equalize wear, rotate the tires at the specified intervals. Also, rotate the tire and wheel assembly whenever you notice uneven tire wear. Radial tires tend to wear faster in the shoulder area, particularly in front positions, due to design. Radial tires in non-drive locations may develop an irregular wear pattern that can generate tire noise. This especially makes regular tire rotation necessary. Remove the tires and wheels. Refer to Tire and Wheel Removal and Installation. 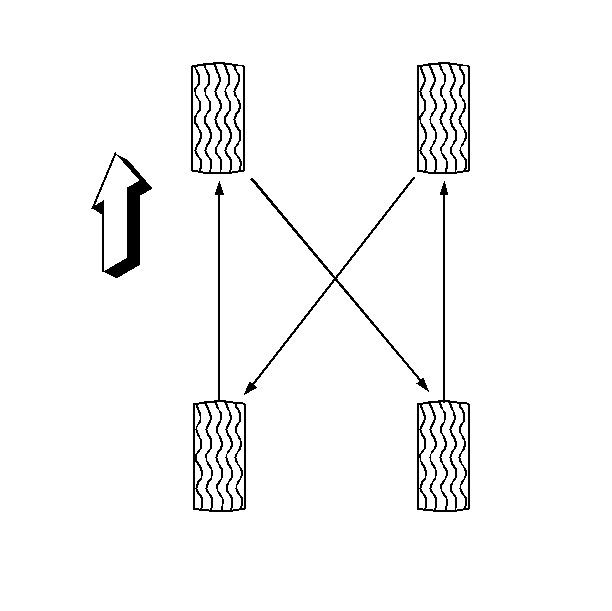 For vehicles with single rear wheels (4 tires), rotate the tires as shown. 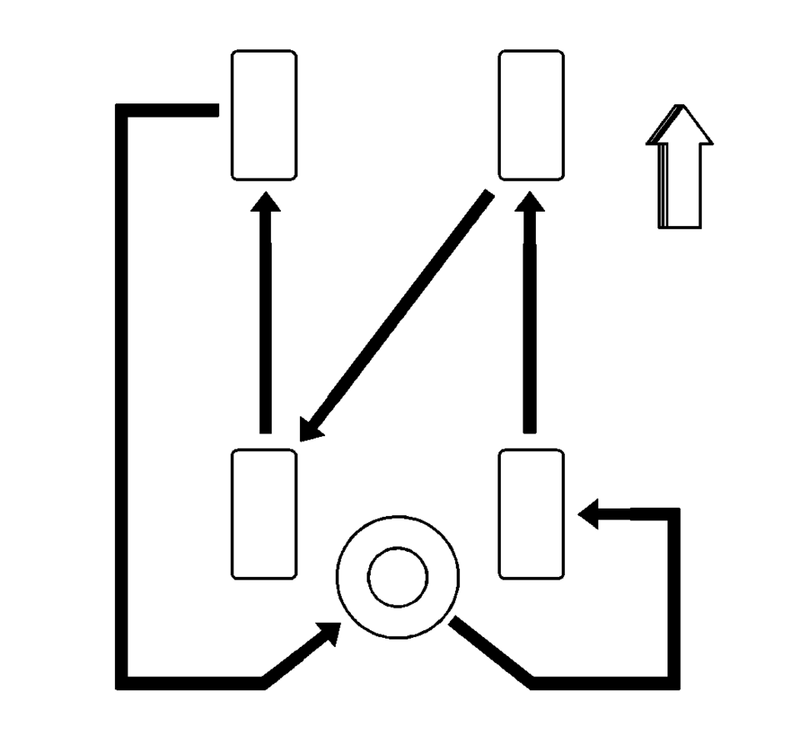 For vehicles with single rear wheels (5 tires), rotate the tires as shown.